Mode of Action: Systemic insecticide with translaminar activity and with contact and stomach action. Readily taken up by the plant and further distributed acropetally, with good root-systemic action. Control of sucking insects, including rice-, leaf- and planthoppers, aphids, thrips and whitefly. Also effective against soil insects, termites and some species of biting insects, such as rice water weevil and Colorado beetle. Has no effect on nematodes and spider mites. Used as a seed dressing, as soil treatment and as foliar treatment in different crops, e.g. rice, cotton, cereals, maize, sugar beet, potatoes, vegetables, citrus fruit, pome fruit and stone fruit. Applied at 25-100 g/ha for foliar application, and 50-175 g/100 kg seed for most seed treatments, and 350-700 g/100 kg cotton seed. Also used to controls fleas in dogs and cats. It is a high-effective, wide spectrum insecticide, prevent and control the Lepidoptera pests effectively. 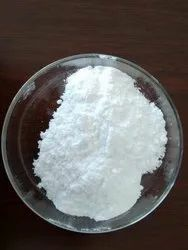 Dinotefuran Chemical Name: 1-Methyl-2-nitro-3-(tetrahydro-3-furylmethyl) guanidine CAS NO. 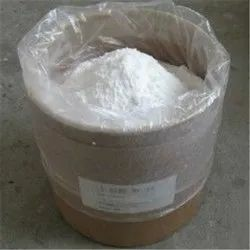 : 165252-70-0 Molecular Weight: 202.21 Molecular Formula: C7H14N4O3 Structure: Appearance: off-white powder Packing: 25kg/Fibre drum Specification: 90%TC, 95%TC, 20%WP, 20%WDG Usage: It's a high-effective, wide spectrum insecticide. Sucking insects such as aphids, plant bugs, leafhoppers and mealybugs. Coleoptera species such as weevil, Colorado potato beetle and flea beetle. Diptera species such as leafminer fly. Certain Lepidoptera species such as fruit moths and leafminers. Other species such as thrips, grasshoppers and fire ants. 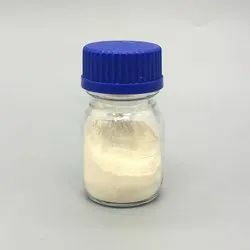 Specifications 1.96% thiamethoxam TC and 25%WDG 2.Low toxity and high efficience 3.Manufacturing supplier and attractive price Normal Name: Thiamethoxam Formulation 96%TC 25%WDG Destriptions 1. 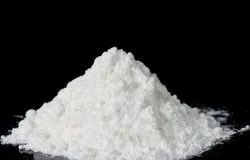 Appearance: Pale yellow to white crystalline powder 2. 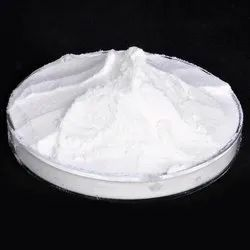 Formula : C8H10ClN5O3S Mode of action : Thiamethoxam is a new structure of the second generation neonicotinoid efficiency and low toxicity pesticides with stomach poisoning, contact and absorption within the activity IRRIGATING for foliar spray and soil treatment. After application within its absorption and conduction to the plant parts, it has a good control effect with sucking pests such as aphids, planthoppers, leafhoppers, whiteflies . 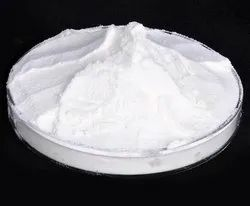 Active ingredient Lambda Cyhalothrin Chemical name [1a(S*),3a(Z)]-(?-cyano(3-phenoxyphenyl)methyl 3-(2-chloro-3,3,3-trifluoro-1-propenyl)-2,2-dimethylcyclopropanecarboxylate Classification Insecticide / Agrochemical Formulation 97%TC, 95%TC, 10% WP, 2.5%EC, 5% EC, Biochemistry Acts on the nervous system of insects, disturbs the function of neurons by interaction with the sodium channel. Mode of action Non-systemic insecticide with contact and stomach action, and repellent properties. Gives rapid knockdown and long residual activity. Usage Control of a wide spectrum of insect pests, e.g. aphids, Colorado beetles, thrips, Lepidoptera larvae, Coleoptera larvae and adults, etc., in cereals, hops, ornamentals, potatoes, vegetables, cotton, and other crops. Provides good control of insect-borne plant viruses, at 2-5 g/ha. Also used for control of insect pests in public health. Description Buprofezin (CAS No.69327-76-0) is a persistent insecticide and acaricide with contact and stomach action; not translocated in the plant. Inhibits moulting of nymphs and larvae, leading to death. Also suppresses ovipositor by adults; treated insects lay sterile eggs. Buprofezin Useage Buprofezin is insecticide with persistent larvicidal action against Homoptera, some Coleoptera and also Acarina. Effective against Cicadellidae, Deltocephalinae (leafhoppers) and Delphacidae (planthoppers) in rice, at 50-250 g/ha; Cicadellidae (lady beetle) in potatoes; Aleyrodidae (whitefly) in citrus, cotton and vegetables, at 0.025-0.075 g/ha; Coccidae, Diaspididae (scale insects) and Pseudococcidae (mealybugs) in citrus and top fruit, at 25-50 g/hl; Tarsonemidae in vegetables, at 250-500 g/ha. Suitable for IPM programmes. 1. Technical Grade 2. English Name: Nitenpyam 3. 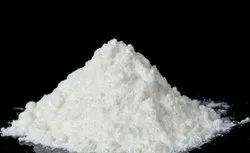 Chemical name: (E)-n-(6-Chioro-3-pyidymethyl)-N-ETHYL-N'-methyl-2-nitrovinylidenediamine 4. Chemical Structure Type: Anabasine 5. 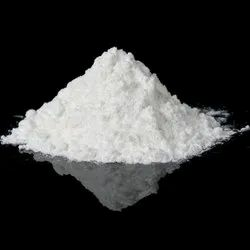 Characteristics: Light yellow crystal 6. Toxicity: Acte peroral LD 50 in rat: 1680mg/kg for female, 1575 mg/kg for male. 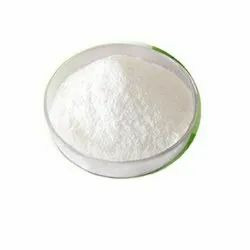 It has low toxicity for himan, livestock, bird and aquatic animal. 7. Usage: Bestguard is a new type anabasine pesticide of our company, it's mainly used for pest control like aphides, aleyrodids, jassid and common thrips, which appear in paddy rice, vegetabale as well as other agronomic crops. 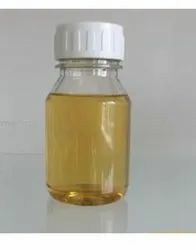 It possesses of many advantages like high effciency and low toxicity, and it is a systemic insecticide with no cross-resistance and its presistence is long. 8. Packing: 25 kg cardboard box lined with plastic bag. Special packaging is acceptable. 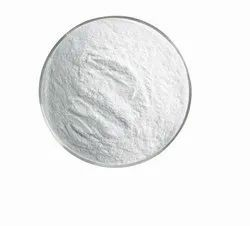 TECHNICAL SPECIFICATION ITEM STANDARD Appearance White to light yellow solid Acetamiprid, % ≥ 97.0 Water, % ≤ 0.2 Acidity(as H2SO4), % ≤ 0.4 Use: Contact and stomach action. Effective against a broad range of foliar pests, including Coleoptera, Diptera, Heteroptera, Homoptera, Lepidoptera and Orthoptera; it also controls some species of Acarina. Crops include cereals, citrus, cotton, fruit, grapes, ornamentals and vegetables. 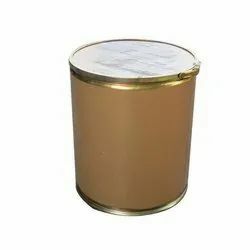 Similar specifications: Bifenthrin 97% TC Package: 25kg drum or customized packages. 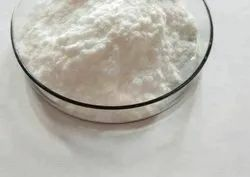 Specifications for Insecticide Flonicamid 96%TC Items Standards Appearance White odorless solid powder A.I content, % 96.0min Applications Mode of Action A kind of insect growth regulator with contact and stomach action, also with nerve poisoning and quick-antifeedant action. The insect with sucking-piercing mouthpart will stop sucking juice as soon as it sucked the plant juice with Flonicamid. No excrement in one hour, the insect will die for starvation eventually. Crops Vegetable, fruit tree, etc Control All kinds of insects with piercing-sucking mouthpart. 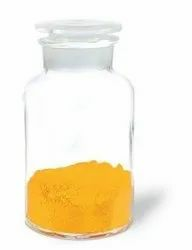 Insecticide, acaricide Abamectin NOMENCLATURE Common name abamectin (BSI, draft E-ISO, ANSI); Abamectine ((f) draft F-ISO) CAS RN [71751-41-2] (abamectin); [65195-55-3] (I); [65195-56-4] (ii) Abamectin APPLICATIONS Acts by stimulating the release of-aminobutyric acid, an inhibitory neurotransmitter, thus causing paralysis. Abamectin Mode of action Insecticide and acaricide with contact and stomach action. Has limited plant systemic activity, but exhibits translaminar movement. Abamectin Uses Control of motile stages of mites, leaf miners, suckers, Colorado beetles, etc. On ornamentals, cotton, citrus fruit, pome fruit, nut crops, vegetables, potatoes, and other crops. Also used for control of fire ants. Formulation types EC. Abamectin Insecticide and acaricide with contact and stomach action. Has limited plant systemic activity, but exhibits translaminar movement. Chlorpyrifos 97% tech, chlorpyrifos tc CAS No. 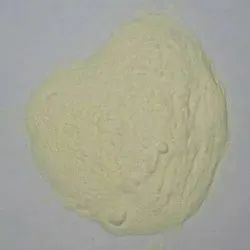 2921-88-2 Content: 95%MIN Appearance: Light yellow thick Liquid and also available in powder form Our advantage: We have Chain Production Line: Chloroacetic acid, Trichloroacetyl chorine, 3, 5, 6, -Trichloropyridin-2-ol sodium, Chlorpyrifos. So our price is very competitive in this market and quality is assured. Our annual output now is 7, 000 tons/year. Chlorantraniliprole CAS No. 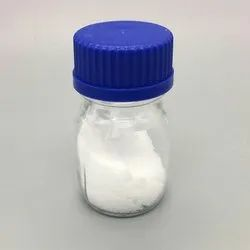 : 500008-45-7 Chemical name: 3-bromo-N-[4-chloro-2-methyl-6-[(methylamino)carbonyl]phenyl]-1-(3-chloro-2-pyridinyl)-1H-pyrazole-5-carboxamide Molecular Formula: C18H14N5O2BrCl2 Toxicology: Tiny poison, the toxicity to the mammal are low, small to the environmental effect. Application: Packing: 25Kg paper plate drum, other packing material available as per customers requirements. Specification: 95%TC, 20%SC For any further information feel free to contact us. Looking for INSECTICIDE TECHNICAL ?